More pay, greater confidence lifts US retail sales 0.6 pct. Retail sales rose a seasonally adjusted 0.6 percent, following a small 0.2 percent gain in November, the Commerce Department said Friday . Some economists were disappointed by that figure and said it suggested that many consumers remain cautious. 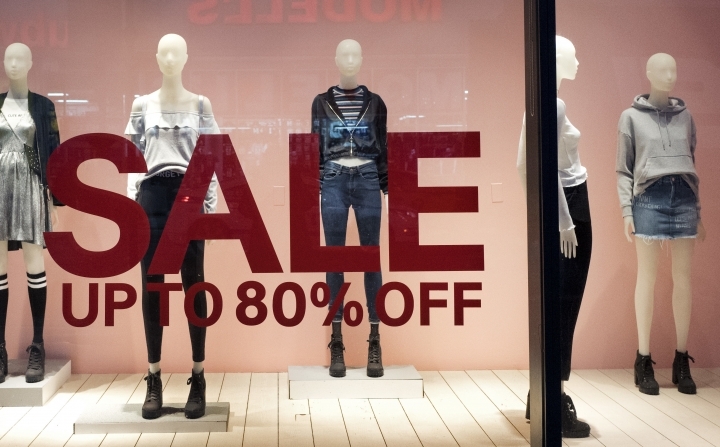 "Retail sales appear healthy enough, but looking past the headline there are a few concerns about the strength of consumer spending," said Paul Ashworth, an economist at Capital Economics. Yet "with consumer confidence surging to multi-year highs after the election and wage growth still solid, there is no reason to suspect that consumption growth is going to weaken in the first half of this year." The healthy spending was likely fueled by soaring consumer confidence, which has jumped after the election to the highest level in nearly a decade. Small businesses are also more bullish. And Americans' paychecks are getting fatter: Average hourly pay rose 2.9 percent in December from a year earlier, the most in seven years. Those trends were sharply in focus in the past two weeks as clothing retailer The Limited announced that it would close all 250 of its stores, costing 4,000 jobs. That followed department store chain Macy's decision to close 68 stores and cut 10,000 jobs. Sears also said last week that it would close another 150 stores.